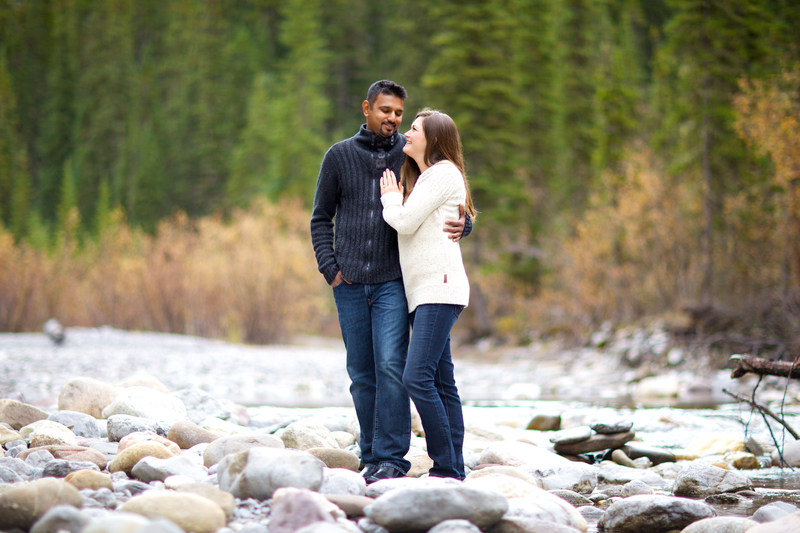 Nick and Cass met us at Medicine Lake in Jasper National Park for an awesome Jasper engagement photography session. 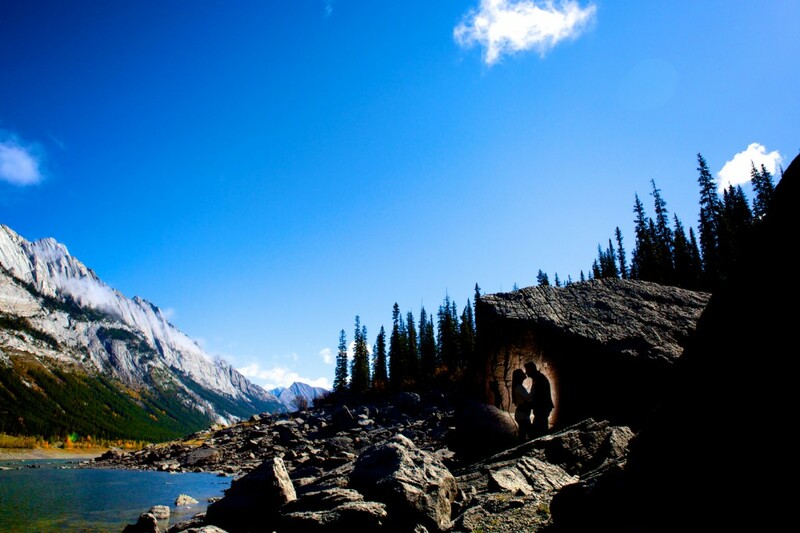 We spent the morning exploring this stunning location nestled in the heart of the rocky mountains! We always find it a little funny when we meet another couple that is similar to us. Nick and Cass are one of those couples. Not only is Nick Indo-Canadian like Sunny, but we all share a love of adventure and dogs. We both have large families and love the mountains. 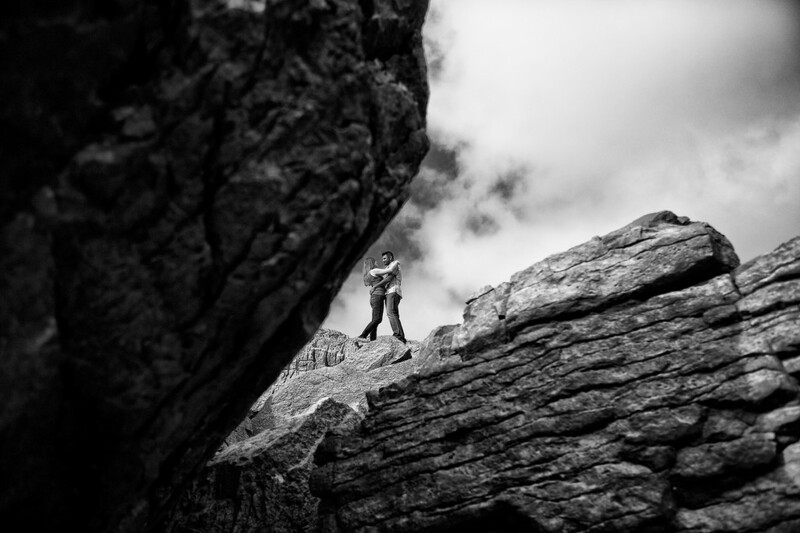 Nick and Cass were one of the first couples to sign up for our mountain engagement sessions when we contacted all of our couples. They were a little nervous getting their pictures taken at first, but in the end they rocked the session! The morning started out a little gloomy and grey – which was awesome for some nice soft portraits. Later in the afternoon the skies cleared and we were able to climb around the rocks and get some more adventurous pictures. 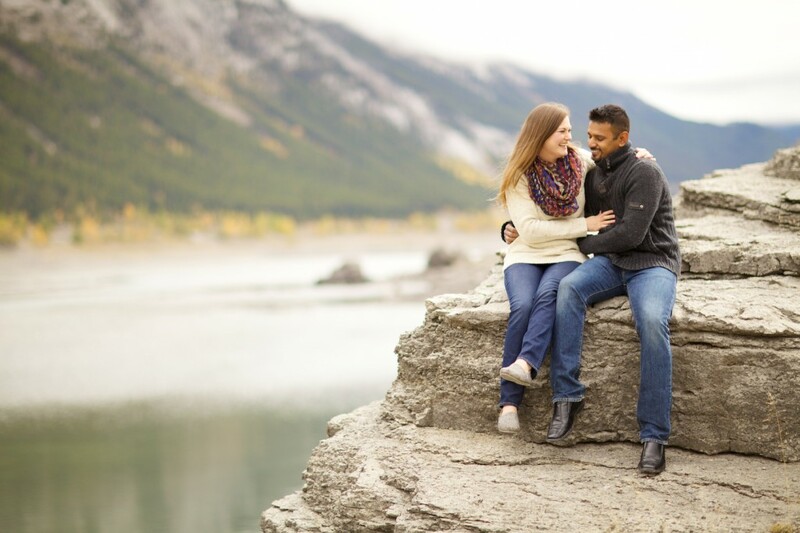 If you’re nervous or anxious about your engagement session, take a read through this guide to preparing for your engagement photos. 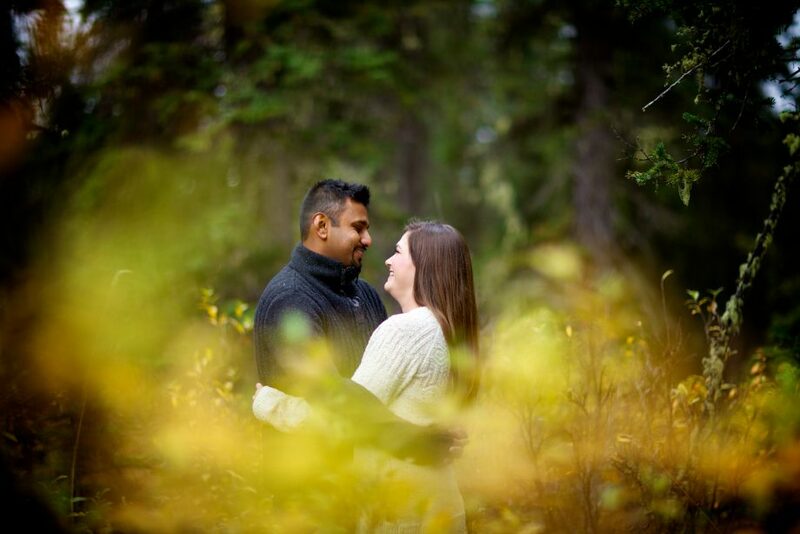 Its something we put together to hopefully help couples have fun at their sessions. 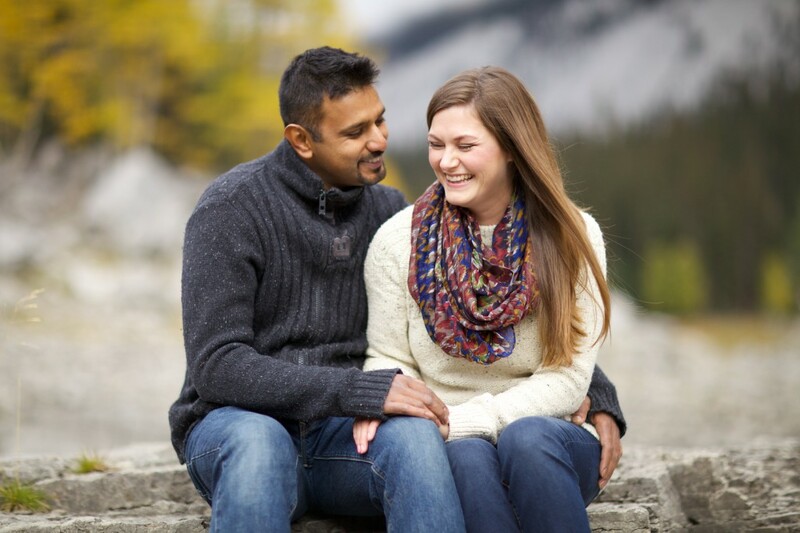 We are so excited for your wedding in May and can’t wait for the weeklong celebration of love! 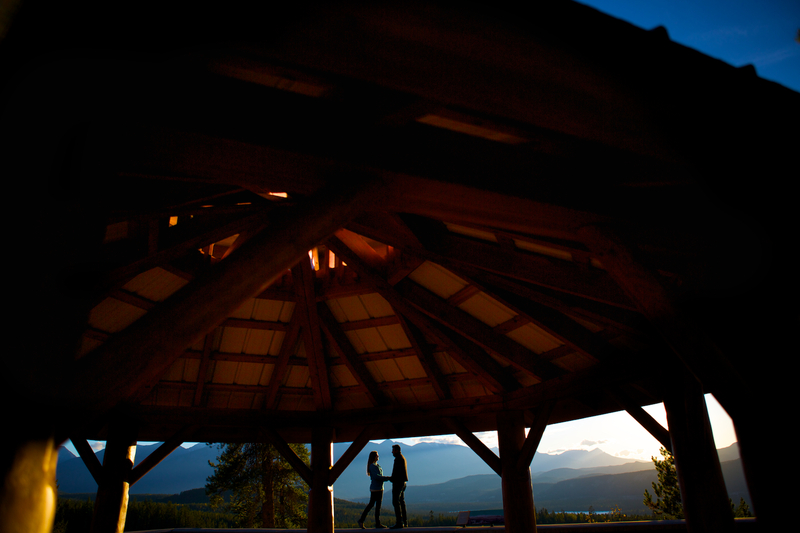 If you are planning a wedding or want engagement photos taken in Jasper, please feel free to contact us! 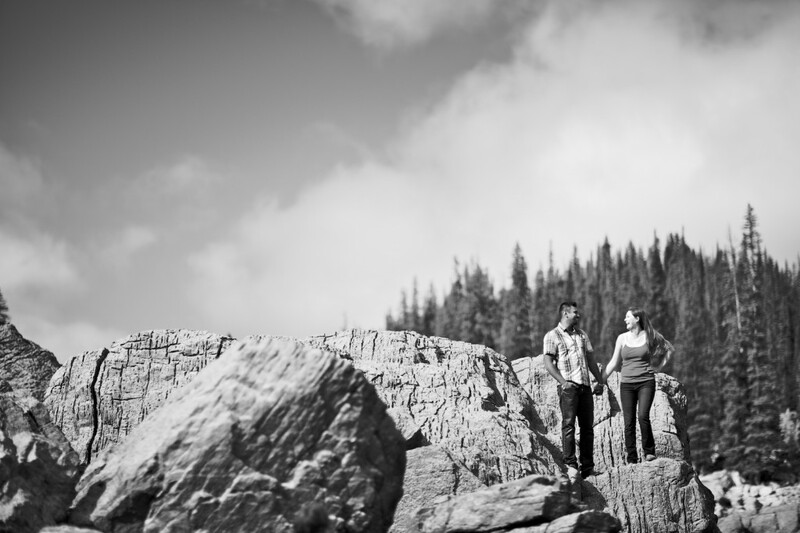 We love shooting in the mountains, and love working with couples who are as excited for their wedding day as Nick & Cass were. The mountains offer a special opportunity to capture the rugged side of the wilderness, whether you love the lakes or the mountain backdrop, the rockies are sure to please. 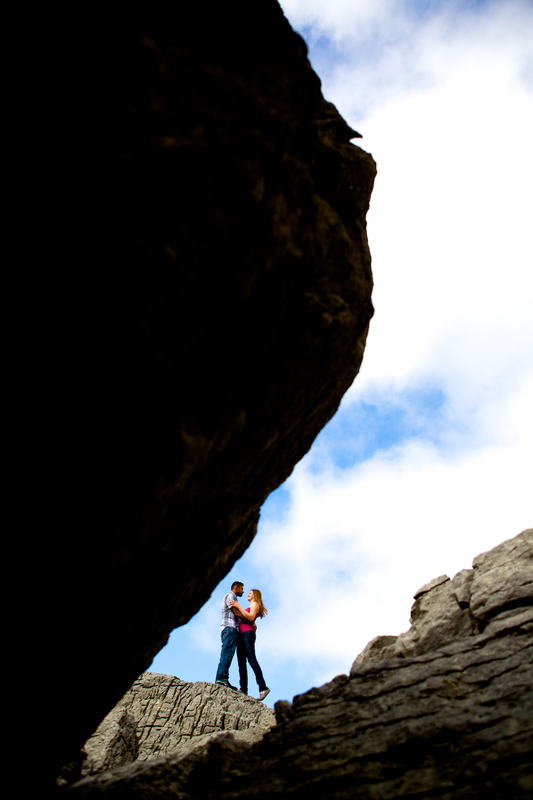 We also offer more adventurous engagement sessions for those with hiking or backpacking experience. Please contact us for more information.